The holidays are over and it’s time to freshen up your hairstyle for the new year. Celebrity stylist Kevin Josephson of the Kevin Josephson Salon in Beverly Hills, California says it’s always good to maintain your cut, but if you like the current length of your hair, he recommends layering without seeing the layers to perk it up. Kevin has developed a haircutting technique of creating inner layers without sacrificing length. He says, “a little lift in the crown really goes a long way to remove a minimal amount of hair to get a maximum amount of effect.” Medium length and long hair look fuller without looking layered. Before blow drying and styling, Kevin’s favorite hair product is Nectar of the Gods, a deep treatment leave-in conditioner that restores softness, shine, elasticity and protects the hair from damage. Kevin also loves L’Oreal TextureLine for styling because it has products available for every hair type, especially for fine hair which he says is very hard to find. To keep your updated ‘do in place, Kevin suggests, L’Oreal Infinium hairspray because it “holds but is workable.” It comes in three different strengths, but Kevin’s favorite is Infinium No.4. 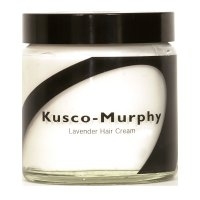 For all hair lengths, Kevin prefers Kusco-Murphy Lavender Hair Créme products for styling. It helps to pump up the volume when using a curling or flat iron for long hair or to give shorter hair a more textured look. 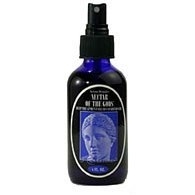 So if you want to revive your hair for the new year, give it a little “lift” with invisible layers!